After a decorated British service during World War II, Sam Morrison took up the position as a Senior Assistant for the borough architect of Derby at the time, Charles Herbert Aslin, who was later elected as the president of the RIBA in 1954. Charles and Sam worked closely, and were responsible for the design of many buildings of importance, both within Derby’s Central Improvement Plan as well as the rest of the growing city. 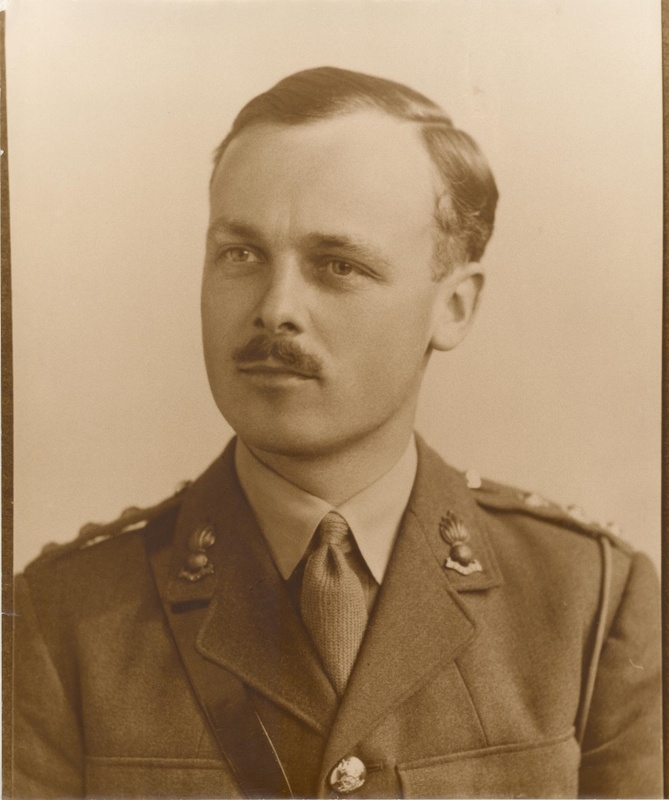 In 1945, Sam moved with Charles Aslin when he was appointed as the County Architect of Hertforshire. There, Sam and Charles became at forefront of a revolutionary shift in prefabricated school design – something for which they are now feted for worldwide. Sam quickly became one of the top four celebrated “Hertforshire Boys” who created the new post-war school design era. In 1948, Sam returned to Derby and put up his ‘plate’ in his own Georgian home on Full Street. Sam was soon joined by two like-minded and equally motivated architects – George Grey and John Farmer and the company was then established as Samuel Morrison and Partners. 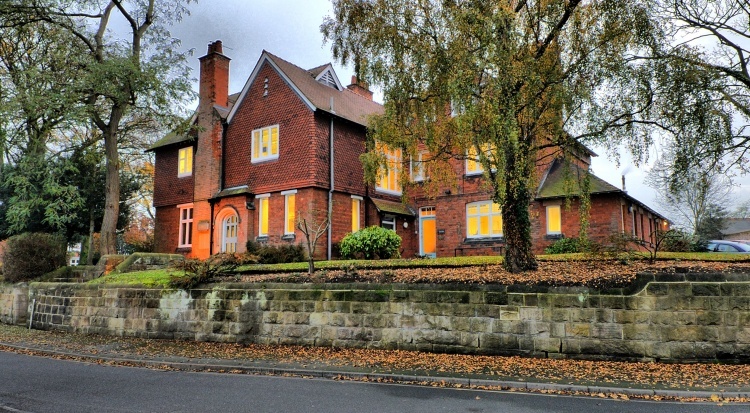 The full street office soon proved to be too small and in 1958, Sam moved the practice to a large property called St. Alkmunds House located on Belper Road, Derby. The building was originally the vicarage for the long-since demolished St. Alkmunds Church. It eventually became the home of the well-known Derbyshire ‘Shand’ family and then during the war, housed the regional headquarters for the Ministry of Food. It was here, that the practice rooted and St Alkmunds House has remained as the company HQ ever since. Soon, the practice received national status in the profession, principally through our interest in rationalised forms of construction – a principle we still apply to this day. Sam was directly responsible for the design of a number of well recognised systems, many of which, including the ‘Derwent’ timber-framed system for Vic. Hallam, remained in prolific use for decades. You can read more about that, and how Morrison Design helped put an end to the major, post-war classroom shortage here. The practice continued to expand through the 1960’s, principally in the fields of schools, hospitals and housing – both public and private. We then began receiving commissions by numerous local and national industrial and commercial firms including Rolls-Royce and International Combustion, together with many UK County, City and Borough Authorities. Following our success in the housing sector, we initiated through the Governments new housing policy, the Derby-based Derwent Housing Society, now known as ‘Derwent Living‘. Our interests in system building was further developed through the collaboration with structural engineers, Ove Arup and Partners, designing a concrete framed building system to be known as ‘Onward’, used for the large schools programme set out by the north western consortium of local authorities. We continued to prove our efficiency in concrete design in the late sixties, when we were awarded the high recommendation certificate by the Concrete Society for our EMEB computer centre design. The design executed a careful composition and superbly consistent and appropriate external finish, achieving a lightness of touch remarkable for a building of its scale. In 1969, the practice was invited to research the possibility of system building in Australia and we set up a branch in Sydney to carry out work and further develop the company across Australasia. During this period, the practice also began to research the possibility of finding commissions in the rapidly expanding hotel market in the Middle East. Successful hotel projects in Saudi Arabia, Abu Dhabi and Kuwait lead the company on an ambitious international venture and became the keystone to our continued interest and expertise in hotel design. 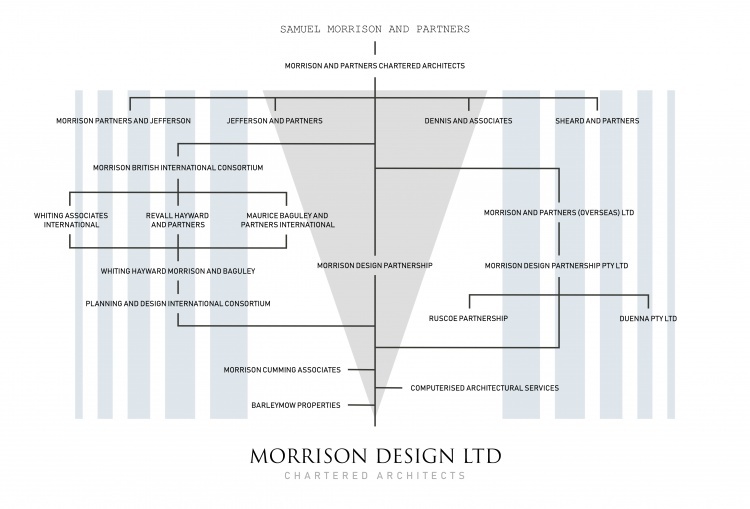 In 1986, the newly constituted business was renamed as Morrison Design Limited, under the new management of David Walding, Nigel Walding and David Hartland, all of whom had been with the practice for a number of years. George Love became a Director in 1991 and together, they consolidated previous client association as well as further expanding the company’s professional expertise into a new and wider client base. Morrison Design Ltd has maintained a team of experienced architectural professionals capable of achieving imaginative design alongside appropriate and robust construction practices. 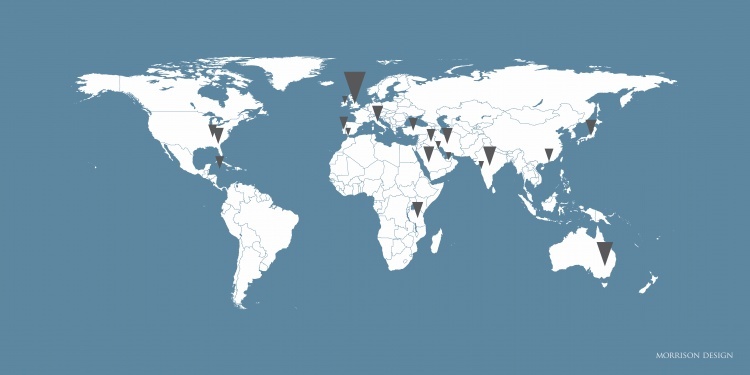 This has enabled us to deliver projects of the highest quality all over the world. In addition to several local companies, the practice has influenced and initiated the start up of many other national and international business’ over the years. Our ambition to connect and have a positive impact on others is continued through our support for the local community and people, working with charities, trusts, schools and local organisations like Derby College, ProHelp, Derby Civics Society, DHRT, Derby City Council and many more. Just like with any design, the most important part of the process is the people. 2018 will see a whole new chapter for the company, so stay tuned over the coming weeks for some exciting announcements!